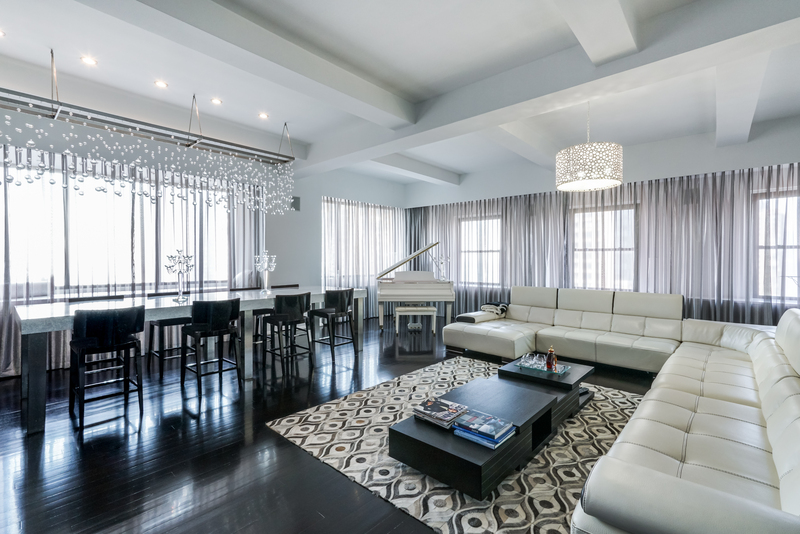 Amongst 15 sprawling full-floor lofts you can find the ultra-luxurious Unit number 13. The two key-locked elevator opens directly into your gracious entry foyer leading into a 2,170-sf full-floor home, featuring over 11.5 ft. ceilings, walk-in closets throughout and immense windows with water and Statute of Liberty views. The grand chef's kitchen is equipped with a Wolf range, Sub-zero refrigerator, double wine cooler and dishwasher. This gorgeous kitchen offers a sizable center island with abundant storage. Your apartment features ample sunlight and open views from the triple exposures in the living room. The master suite offers a walk-in closet, dual sinks in the master bathroom, standing shower and soak tub Jacuzzi. Other features in the unit include a separate laundry room, motorized shades throughout the unit and central AC. 33 Rector Street is a boutique 15-unit, 15-floor, pre-war building (1920) converted to a luxury condominium in 2001 with concierge service, an on-site superintendent, bike room, real estate tax abatement for eight years, two key-locked elevators and video security throughout the property. The building offers multiple exposures and gorgeous views of Battery Park, the Hudson River and the Verrazano Bridge. You are centrally located in the Financial District, just south of TriBeCa, where you will enjoy shopping and dining at retailers and restaurants such as; Thomas Pink, Hermes, Harry's Cafe, Capital Grill, and the South Street Seaport. Enjoy this vibrant, fastest growing and expanding neighborhood with quick access to 3 separate subway lines within 3 blocks; the new Fulton Transit Center and PATH stations. Additional neighborhood amenities include wonderful new dining and shopping at Brookfield Place, and nearby at the Oculus and Eataly. The FiDi Whole Foods is coming in 2018. Listing courtesy of One and Only Realty Inc.